Beef wagyu puffs. I know friends who loved this. The beef leaned on the sweet side killing any beefiness I'd usually expect from wagyu, and whilst the puff was perfectly crumbly, it was also a tad too dry. 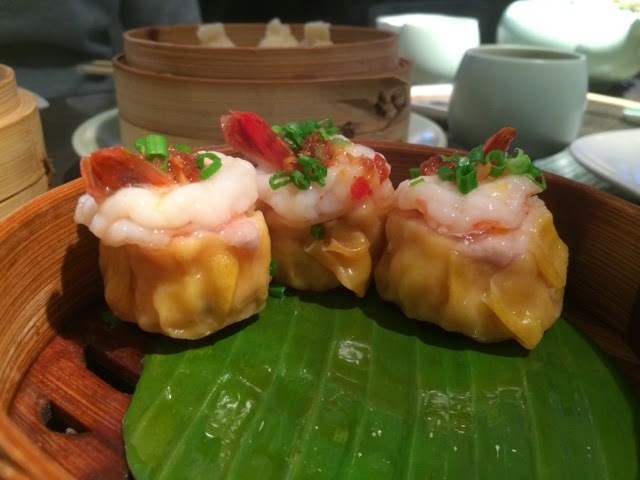 Prawn and chicken siu mai. This was one of my favourites. Juicy chicken bursting with flavour and the prawn on top added a lovely sweetness and a mouthful of bounce. A touch of their own fragrant chilli oil on top also worked beautifully to bring all the flavours together. 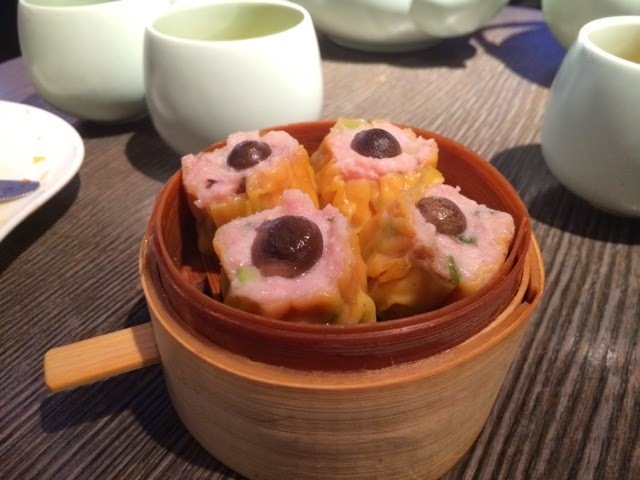 Chicken siu mai. Bouncy and full of coriander. Great if you're a fan of coriander, not so great if you're not. 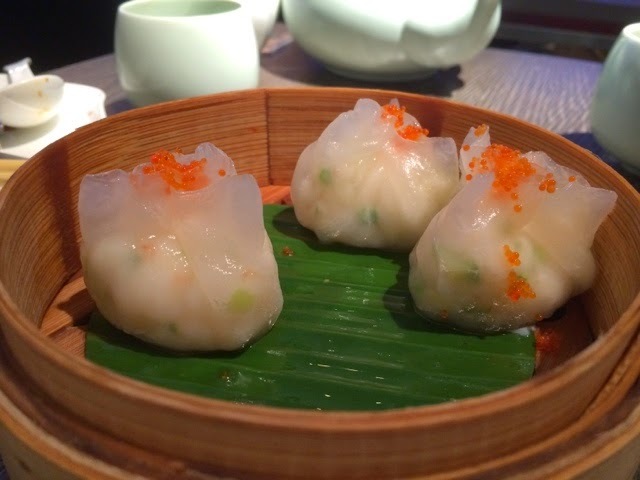 Bouncy har gow, prawn dumplings. These were pretty good. Skin could have been thinner and filling lacks a little magic. Royal China ones are still unbeatable to this day. 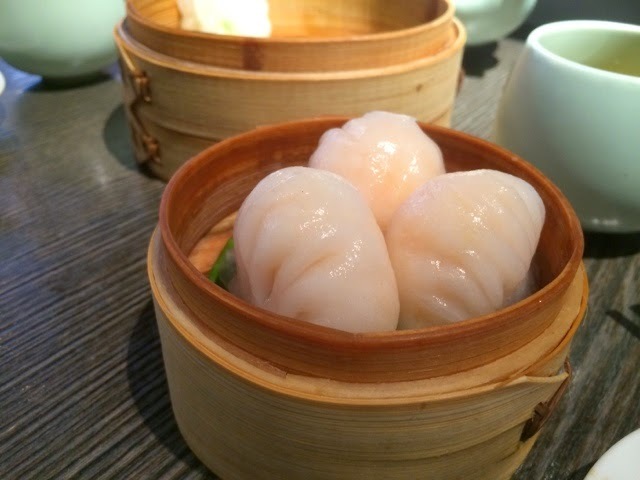 Unless you're in HK, where Tim Ho Wan probably do the best har gow in the world. Lobster dumplings with tobiko. Oh yes, the lobster was full of bounce and very fresh. 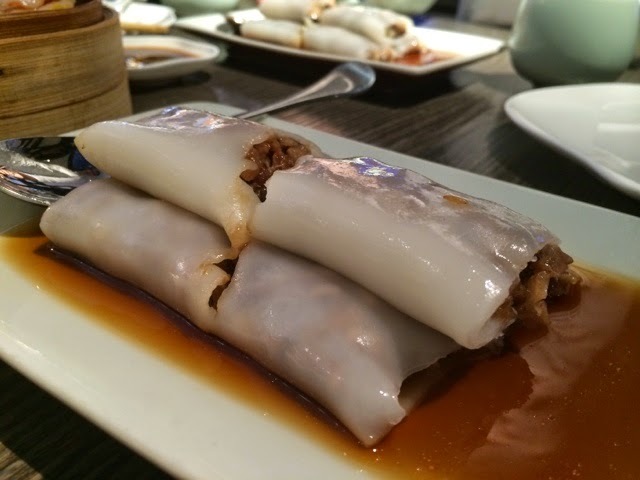 Flavour wise, again lacking a depth that traditional dim sum offers. But the fact that it was lobster, made it indulgent enough to still enjoy. 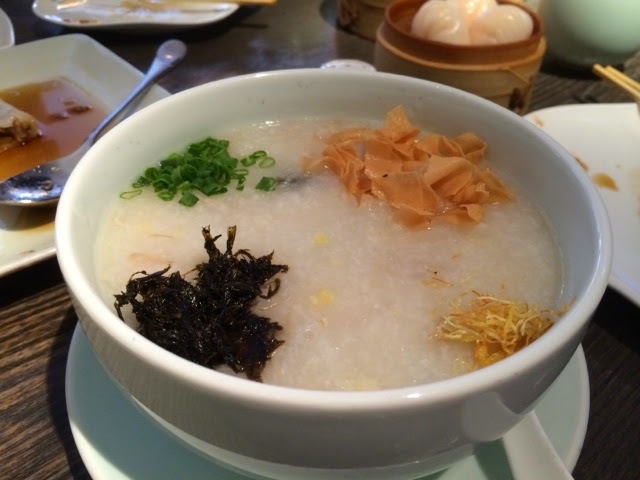 Pork and preserved egg congee. This rice porridge was tasty and oh so fancy. On the salty side. Char Siu bao. 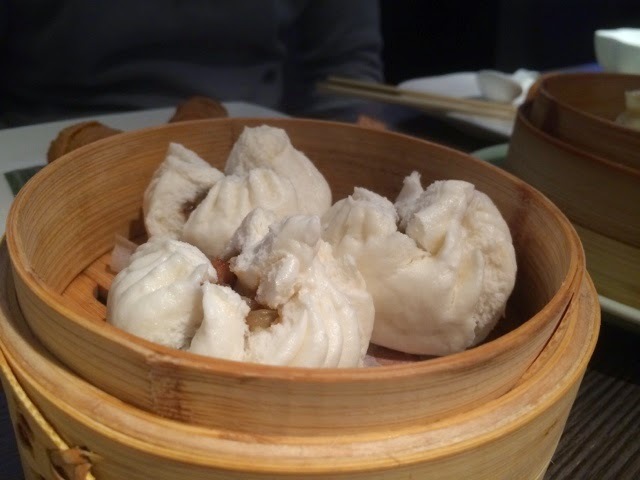 Steamed roast pork buns never really go wrong, unless it gets overloaded with sugar. This was sugary. 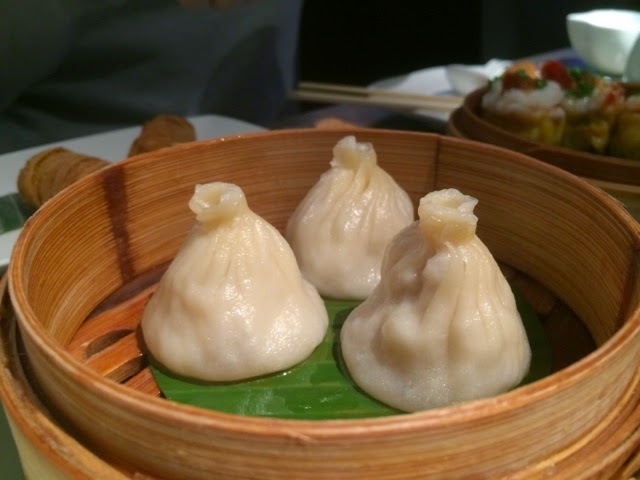 Siu long baos, aka soup dumplings are bursting with finesse in the flavour department, but skin could be thinner. If you're serious about siu long baos, I'd recommend Leong's Legend in china town. 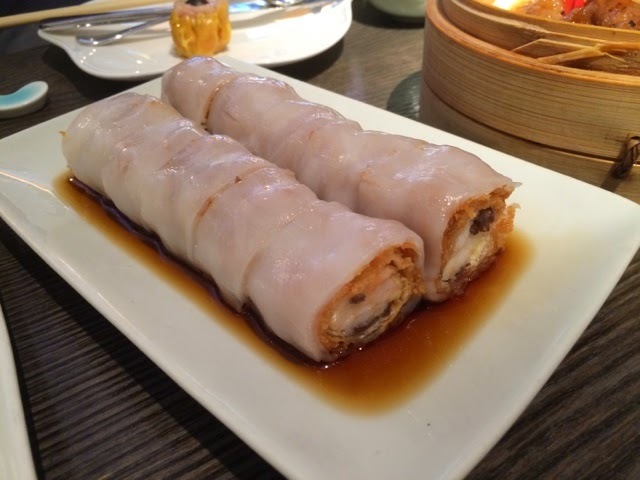 Char siu cheung fun. Pork too sweet, soya sauce too salty, rice rolls not thin and smooth enough. For somewhere like Yauatcha, this is a let down. 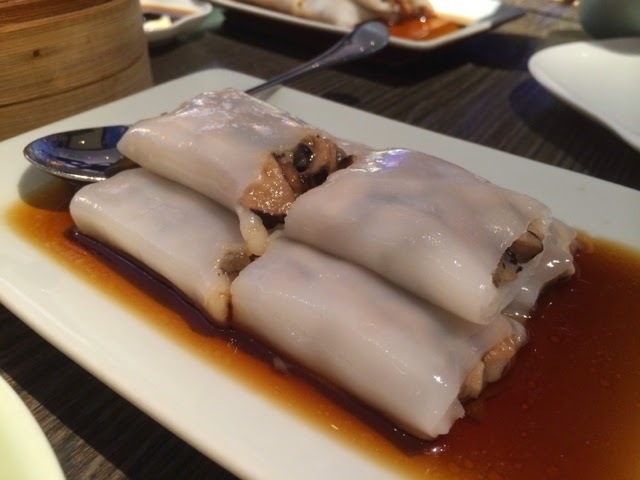 Mixed mushroom cheung fun. Perhaps with less flavouring in the mushrooms, the soya sauce was perfect with this and much better than the char siu cheung fun. 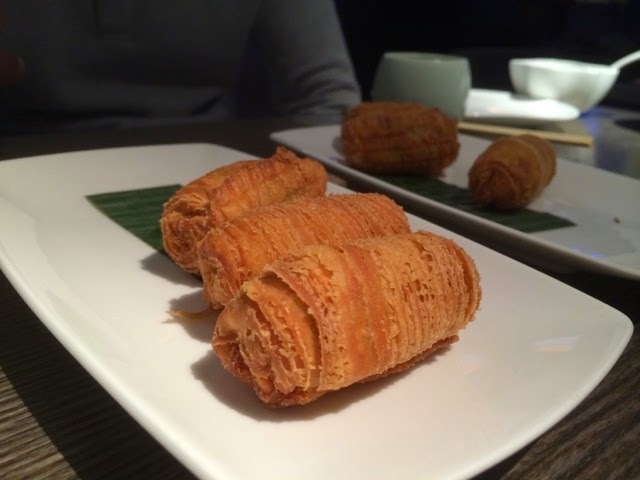 Crispy beancurd prawn cheung fun. Prawns wrapped in crispy beancurd sheet inside a rice roll. Genius! Our waitress (also my brother's friend) likened this to a crispy dough stick cheung fun, aka jar leung, but with more flavour. She was spot on. Another favourite. 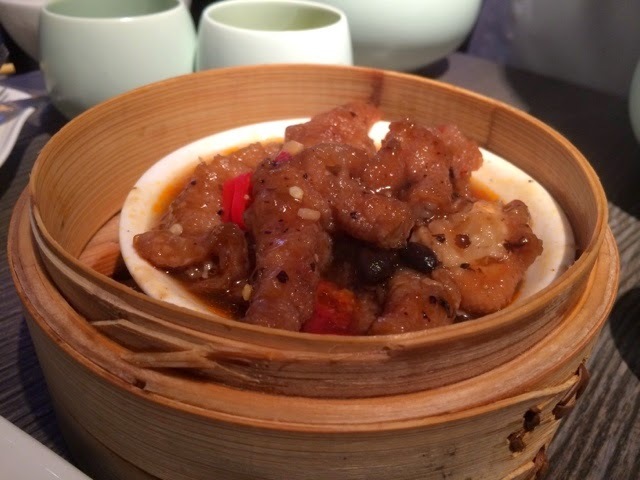 Chicken feet with blackbean sauce, a must order at dim sum! These were again quite sweet and salty at the same time. 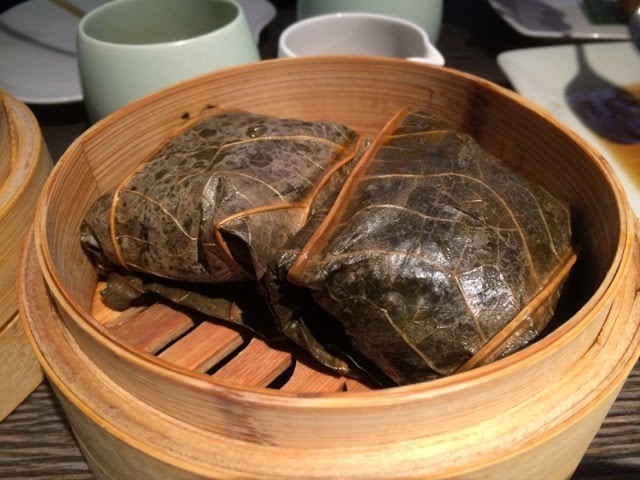 Lotus leaf steamed glutinous rice with chicken. Perfect in size, as you can easily get stuffed eating this. Shame there wasn't any lap cheung (Chinese preserved sausages) or any Chinese mushrooms. That's almost as bad as serving you a bacon sandwich and telling you there's no ketchup...! 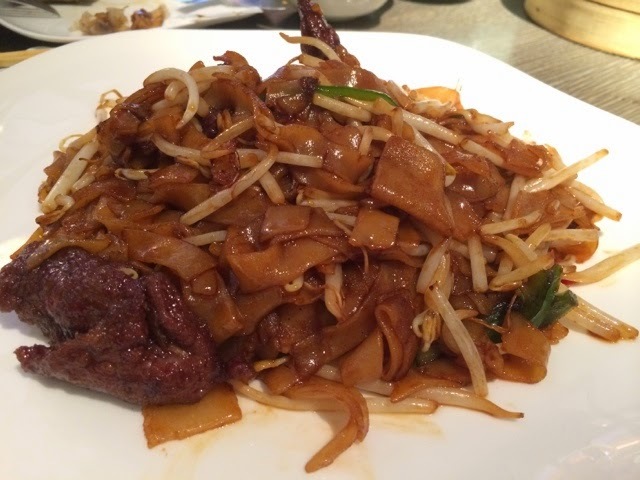 Beef fried rice noodles. Noodles lacked the 'breath of wok', but cooked to the right dryness. Again leaning on the sweet side, and we could really taste the msg in this one. 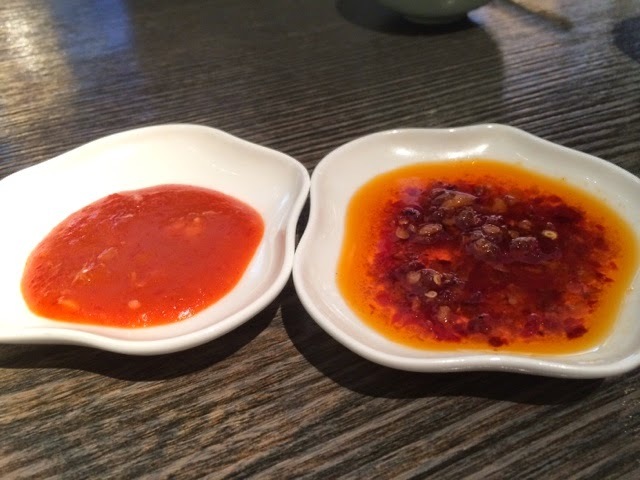 Yauatcha' homemade chilli sauce and oil. Both were good especially the chilli oil when paired with the siu mai, but on it's own it was too sweet. Chilli sauce was also a bit too sweet. We started off enjoying everything, but by the end of the meal, we were gasping for water and more tea. This just highlights how much salt, msg and sugar we consumed in one sitting. Would I go back again? Yes I would. Some dishes were really great, and the dining experience here was good too. Nothing was particularly awful, but as for fine dining Chinese food/dim sum, I still keep my reservations on that. I have yet come across one in London that I think is worth the fuss. The meal was around £130 for the 4 of us. I will say though, the cakes we took home to enjoy from Yauatcha's dessert bar were exceptional! There is no denying how gorgeous the setting is in Yauatcha. Just one look through the window into their stunning dessert display will have you salivating on the spot (desserts write up in the next post). 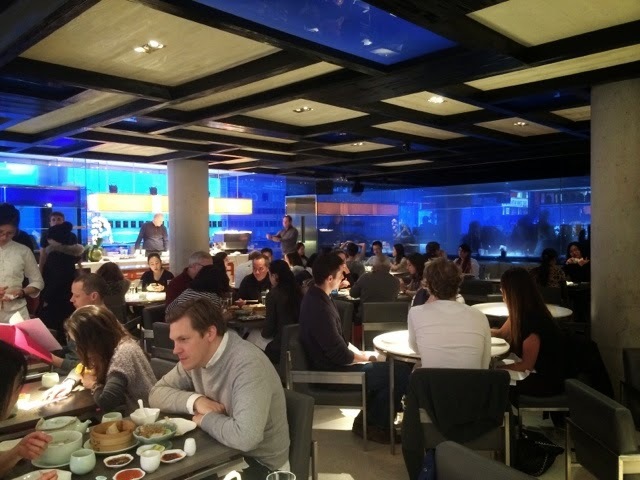 Have any of you guys been to Yauatcha and what are your thoughts? Ahh your photos are making me hungry Lucy! I've been to Yauatcha a few years ago and remember the char siu was delish! Thanks Hanh! I found everything a bit too sweet, especially the char siu. looks sooo delicious. we don't have good authentic Chinese restaurants around here.